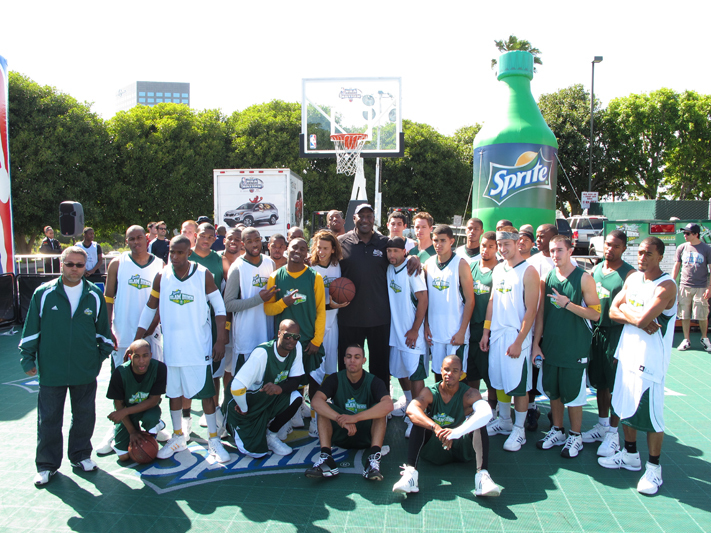 The National Basketball Association (NBA) and Sprite® today launched the second annual Sprite Slam Dunk Showdown, a program that provides amateur dunkers a chance to display their best dunking skills and claim the Sprite Slam Dunk Showdown crown. 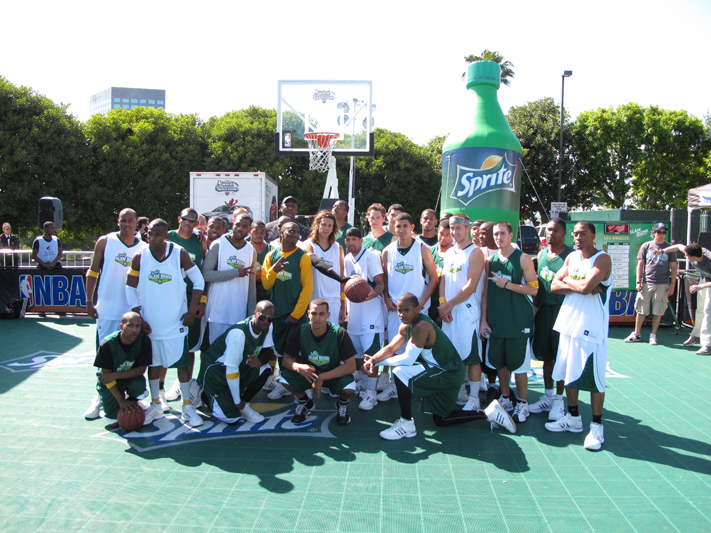 The Showdown expands the annual Sprite Slam Dunk competition at NBA All-Star into a into a three-country search to find the best amateur dunker with 2009 NBA Most Valuable Player presented by Kia Motors LeBron James of the Cleveland Cavaliers helping to choose the champion. 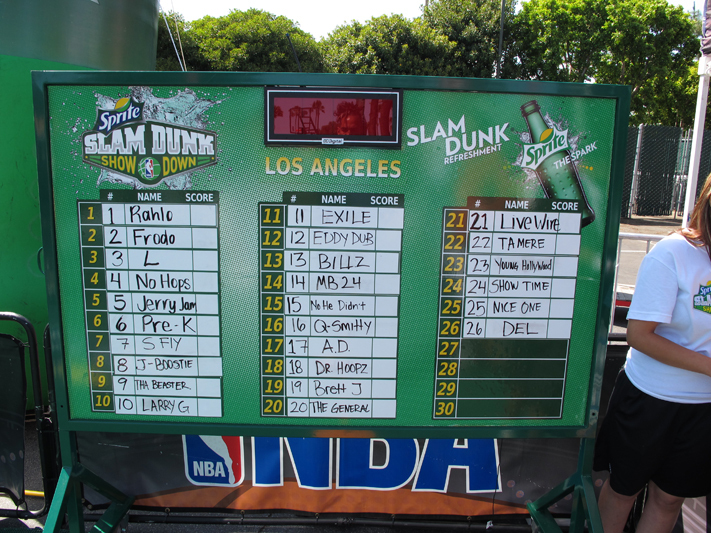 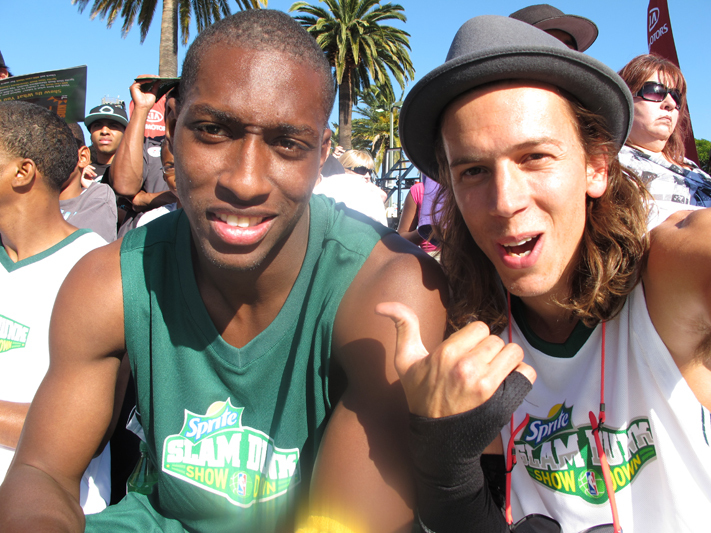 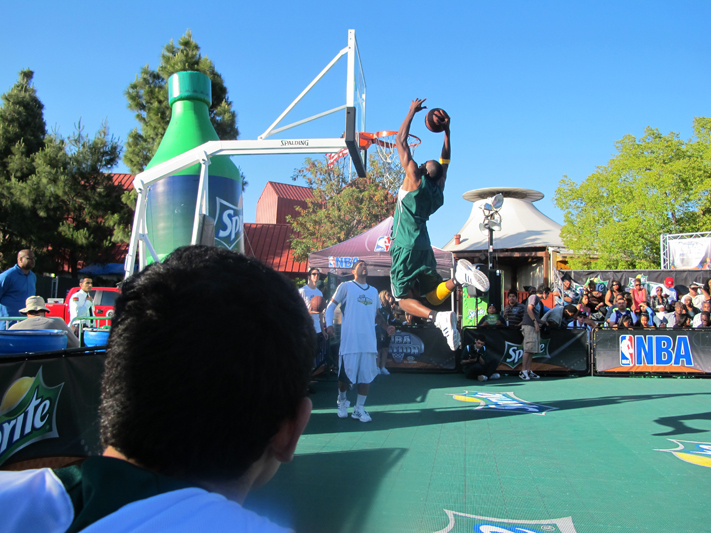 The Sprite Slam Dunk Showdown combines an eight-U.S. city tour — in which fans can participate in Slam Dunk competitions — with an online component that will allow fans in the U.S, Canada, and Mexico to upload videos of their own dunks and vote for their favorites in the competition. 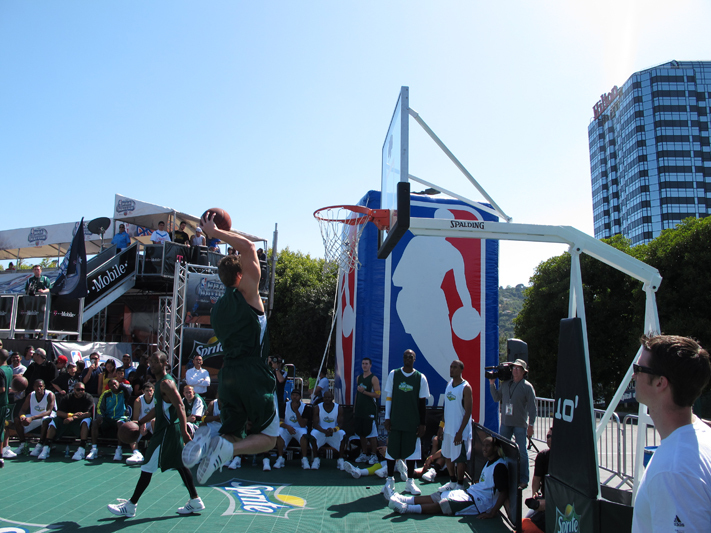 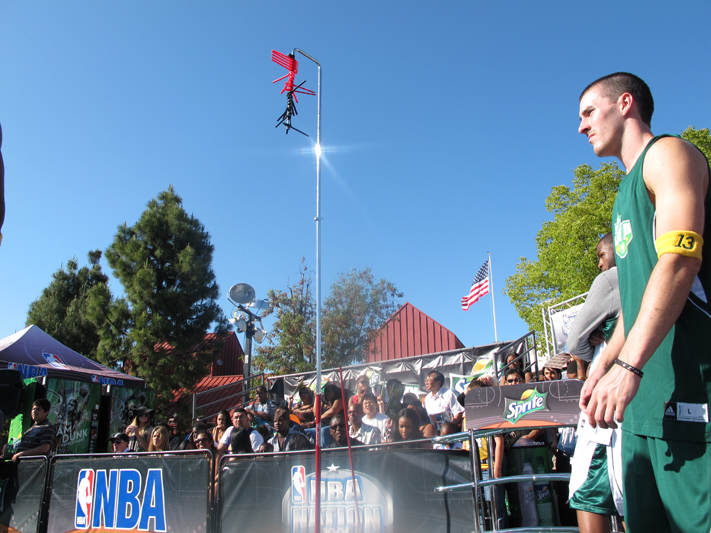 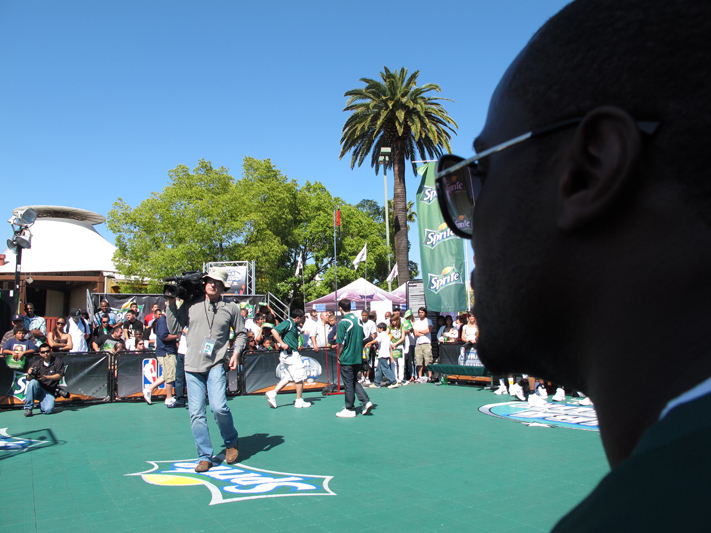 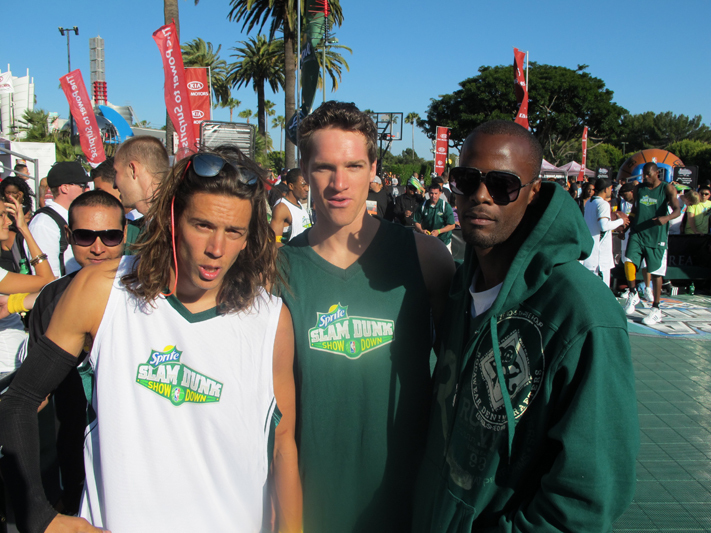 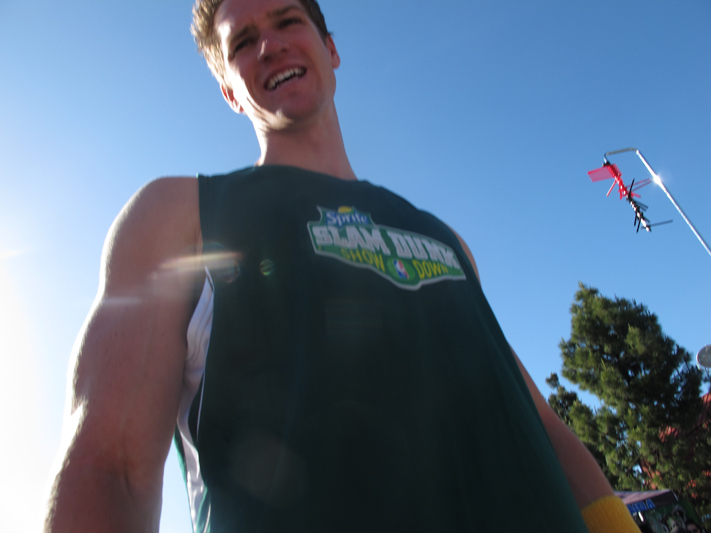 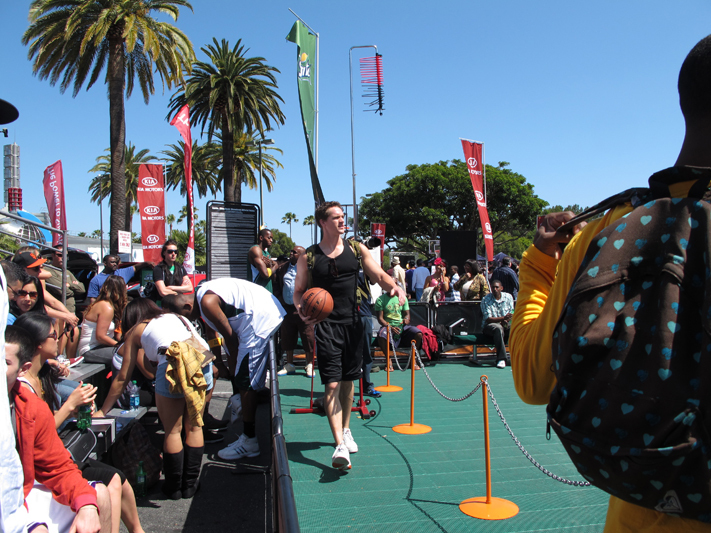 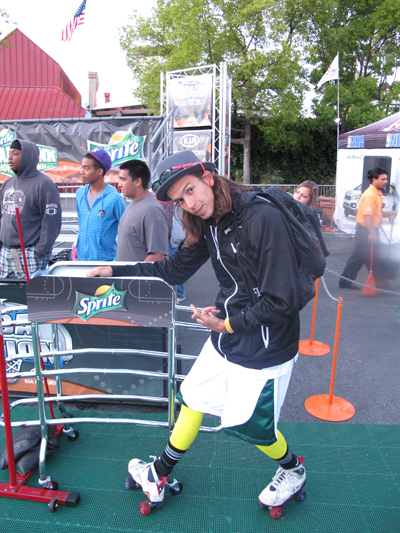 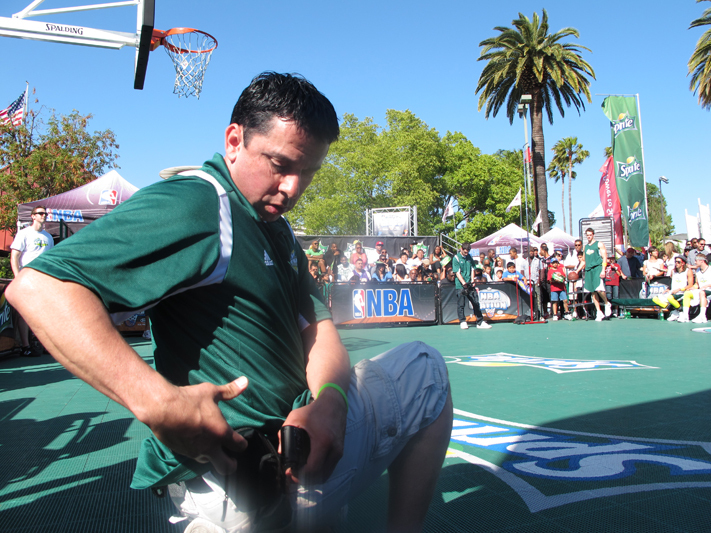 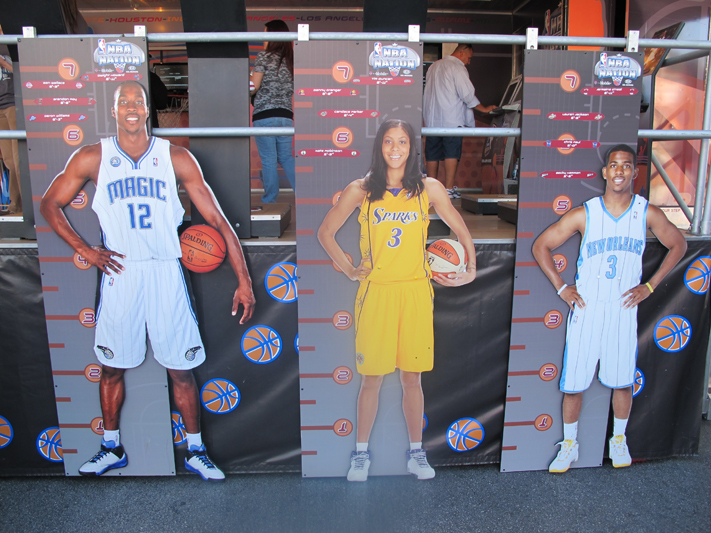 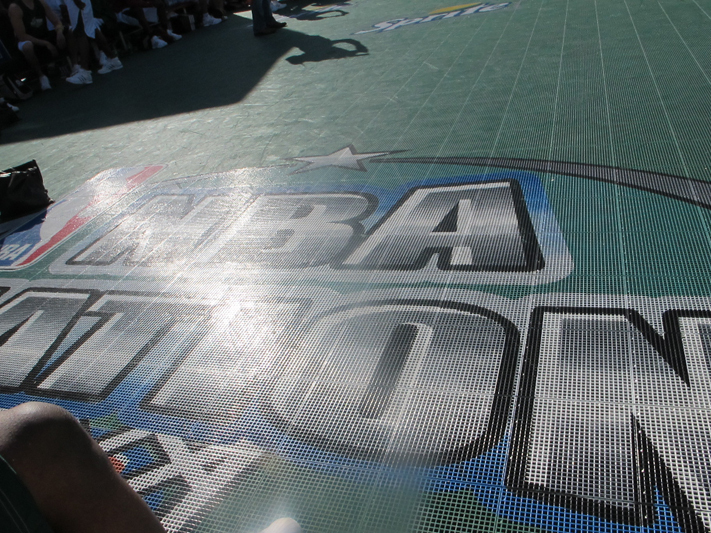 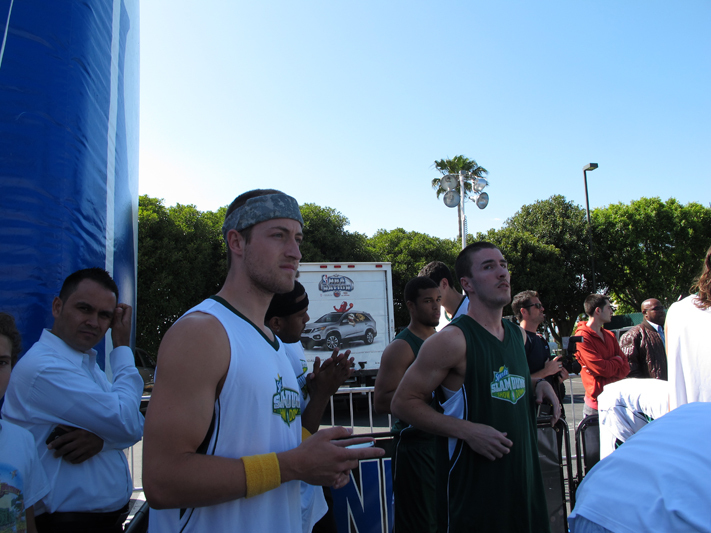 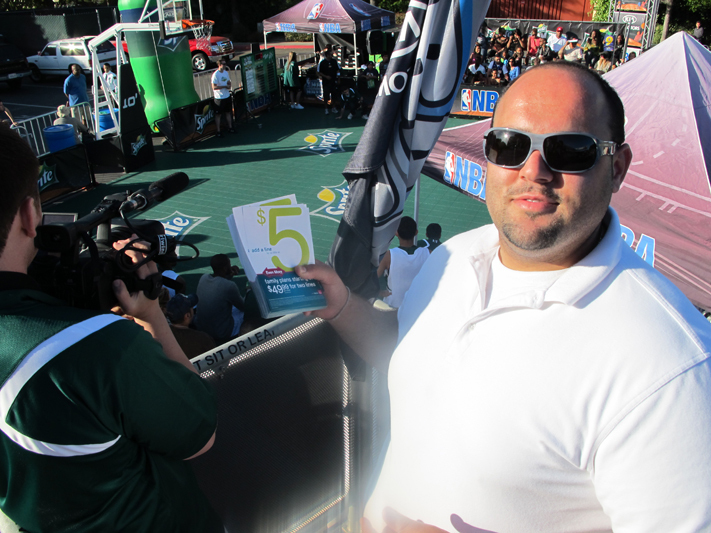 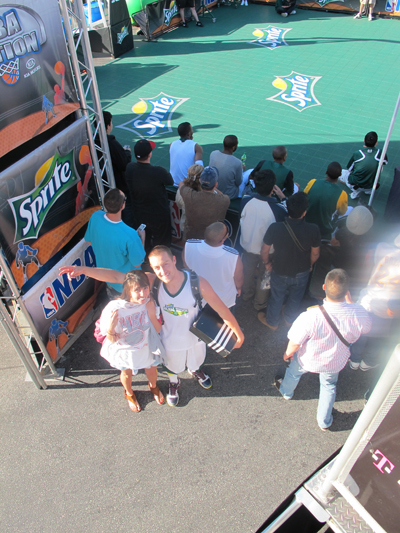 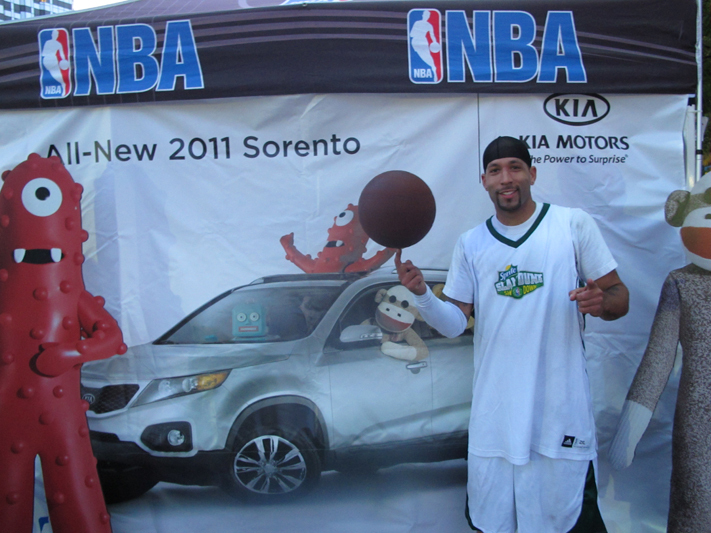 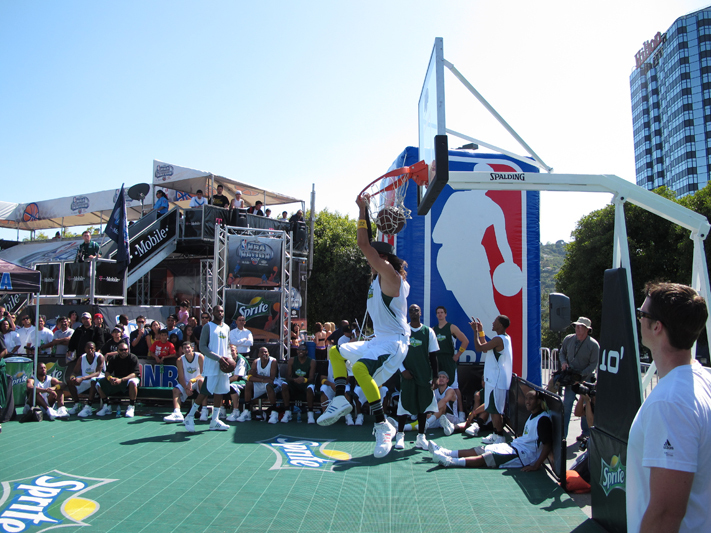 Sprite Slam Dunk Showdown competitions will be held from May through July at NBA Nation presented by T-Mobile and Kia Motors, the NBA’s touring vehicle that transforms into a 20,000-square-foot basketball playground. 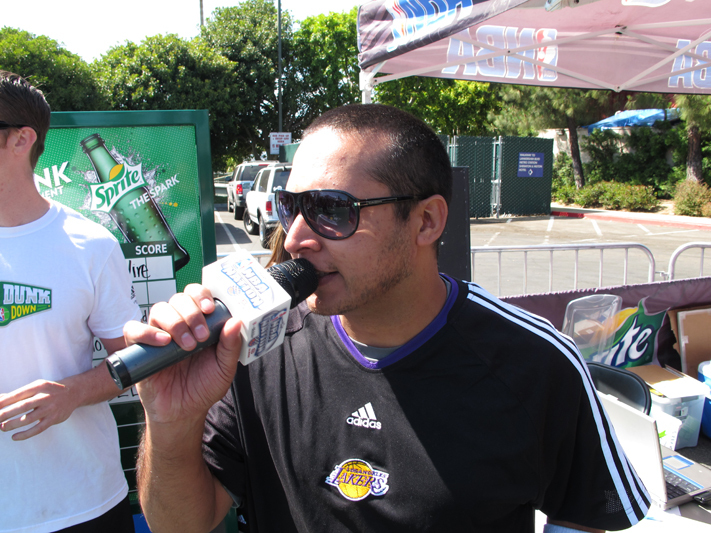 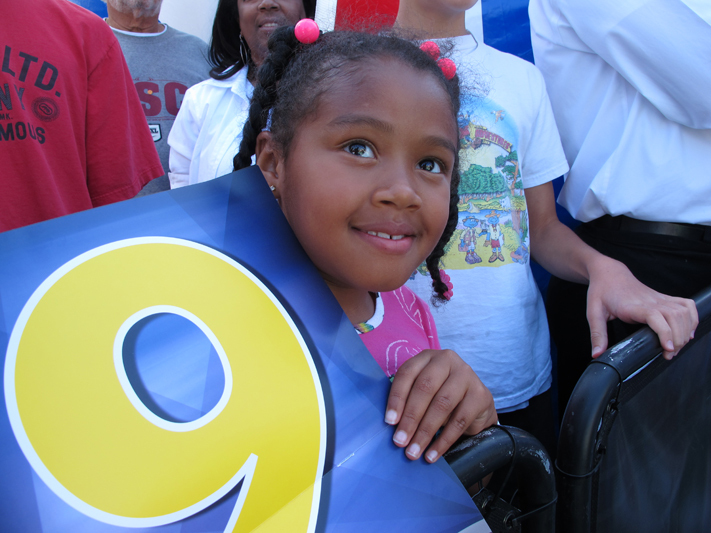 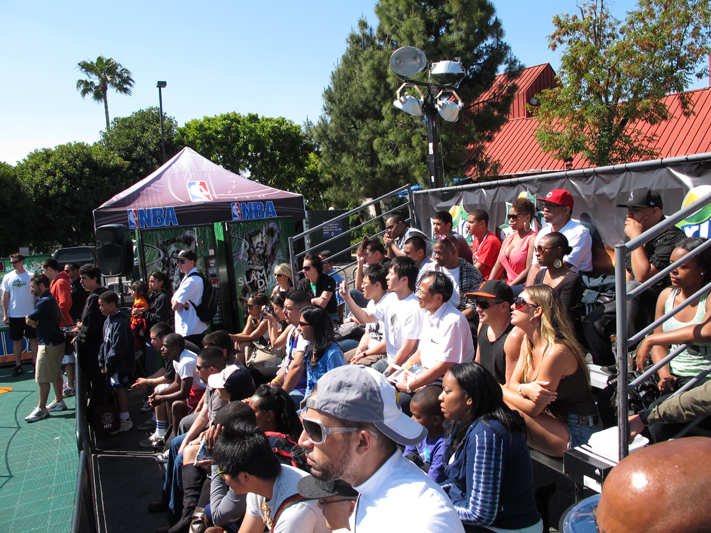 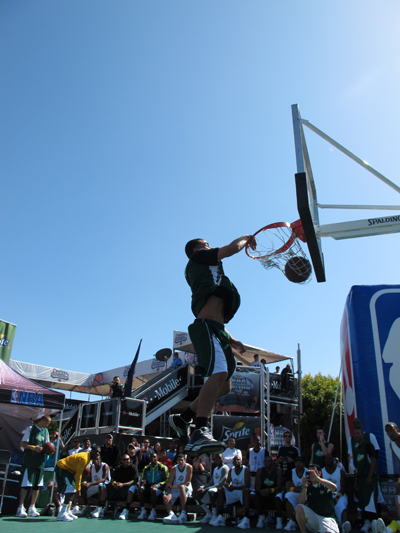 The competition will be open to all local dunkers ages 18 and up, who will be able to show off their dunking skills before a panel of judges at NBA Nation. 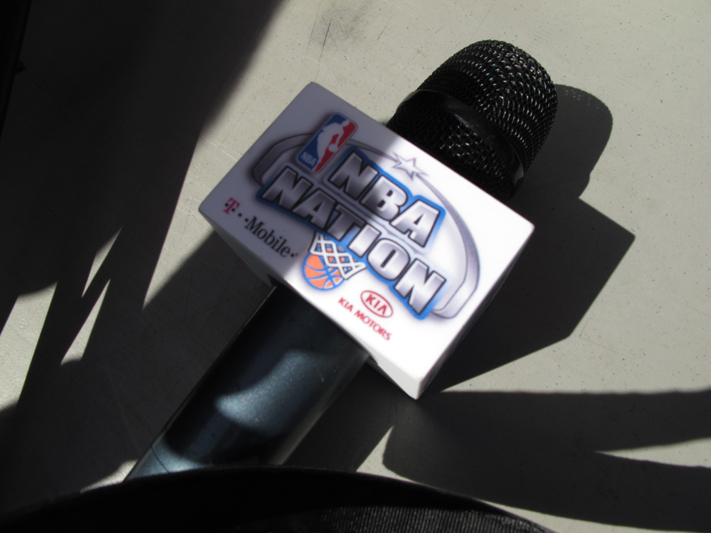 Fans will choose one qualifier during the final round via text voting at NBA Nation. 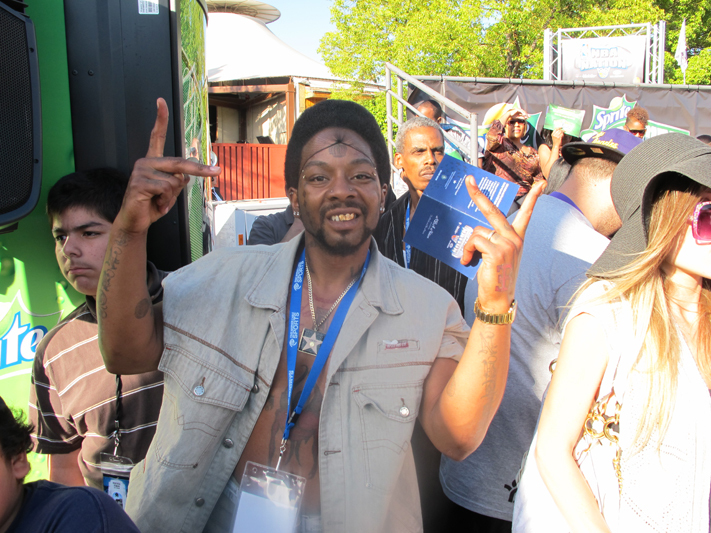 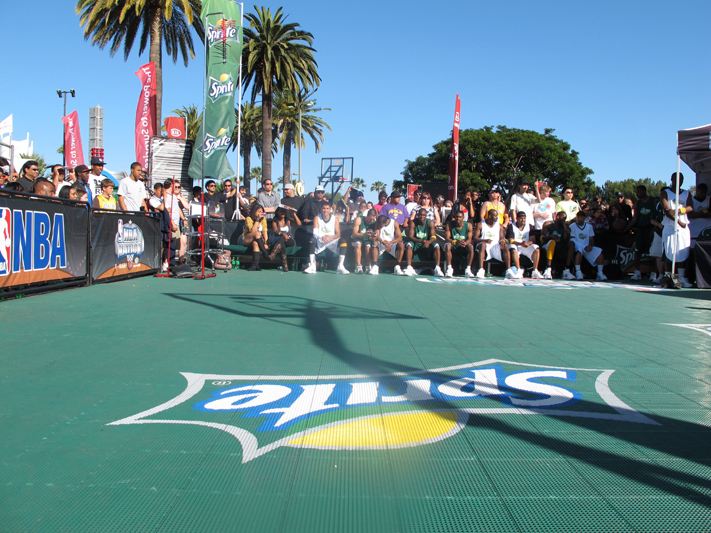 The winner from each city will advance to the voting round and will receive a $1,000 prize and a Flip MinoHD”!, while the runner-up will receive a $500 prize. 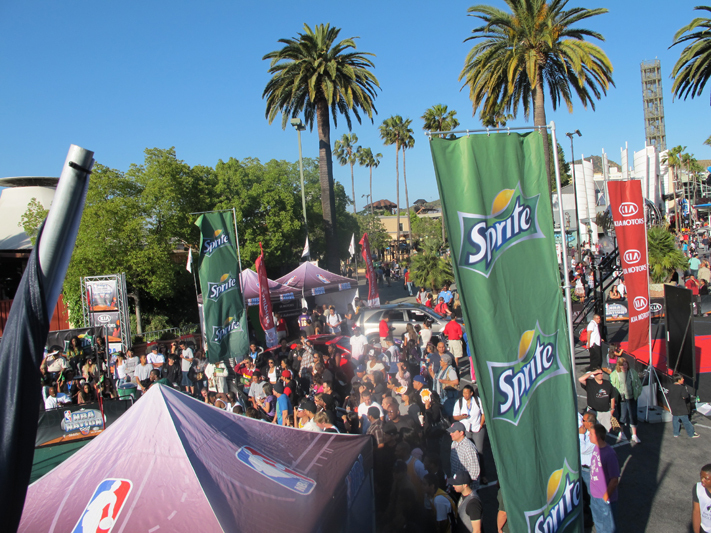 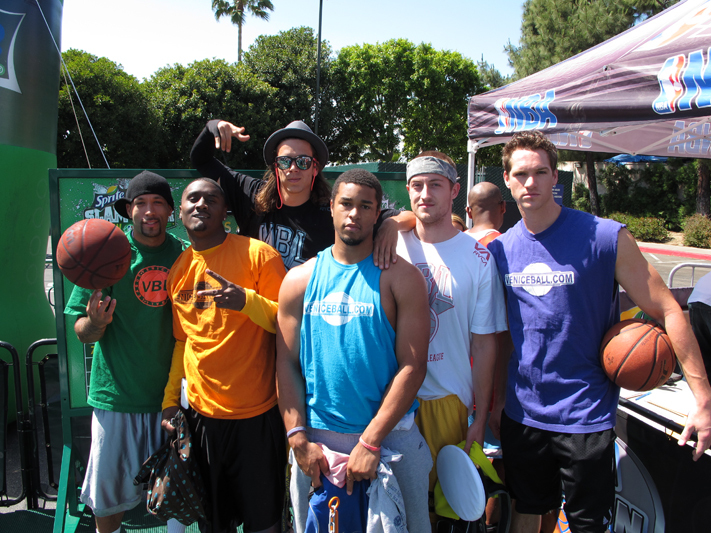 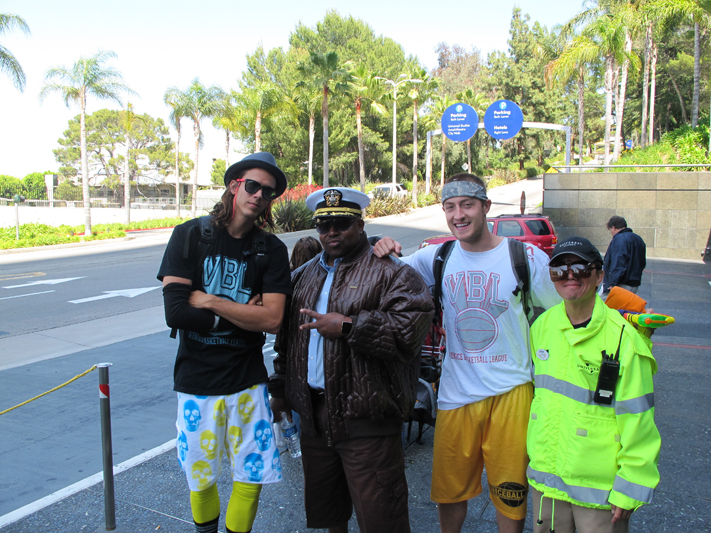 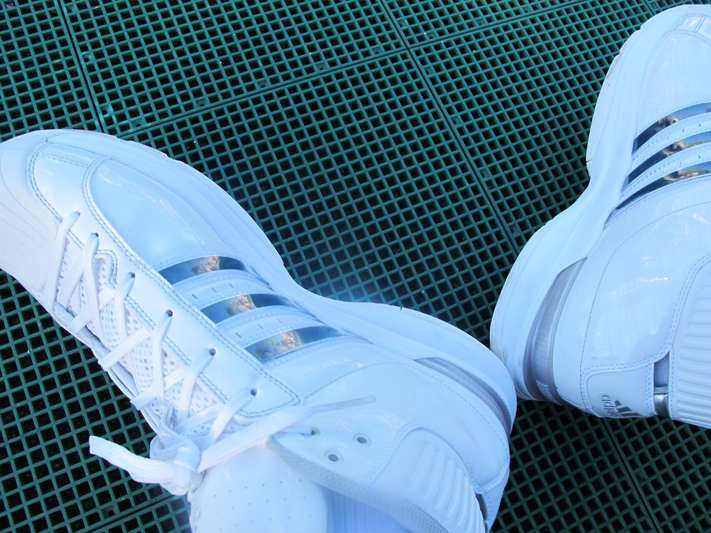 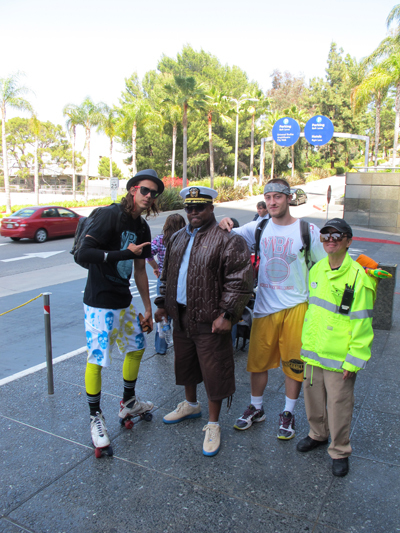 Expect VeniceBall to come out in full effect for 2010. 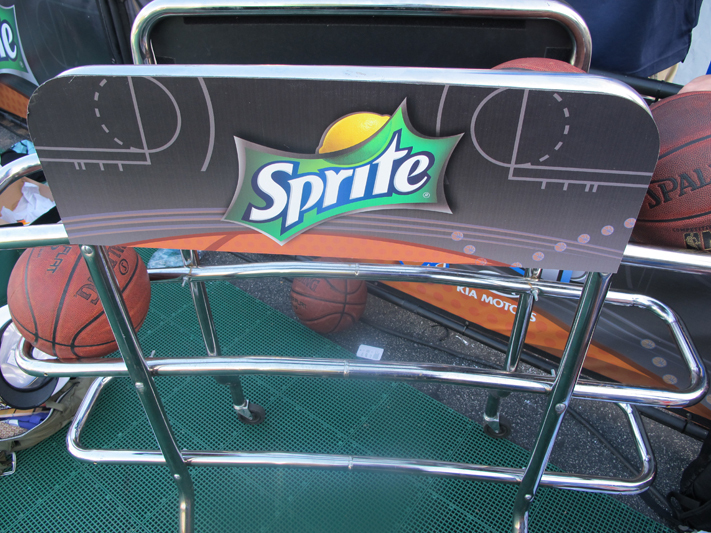 Show Us What You Got! 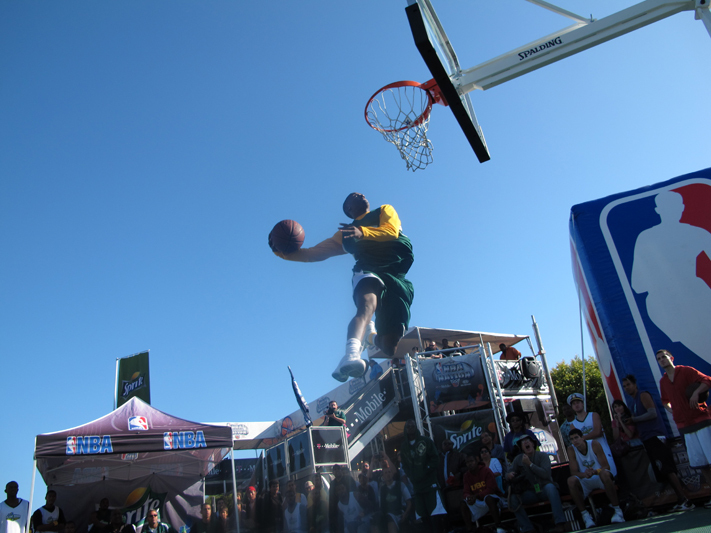 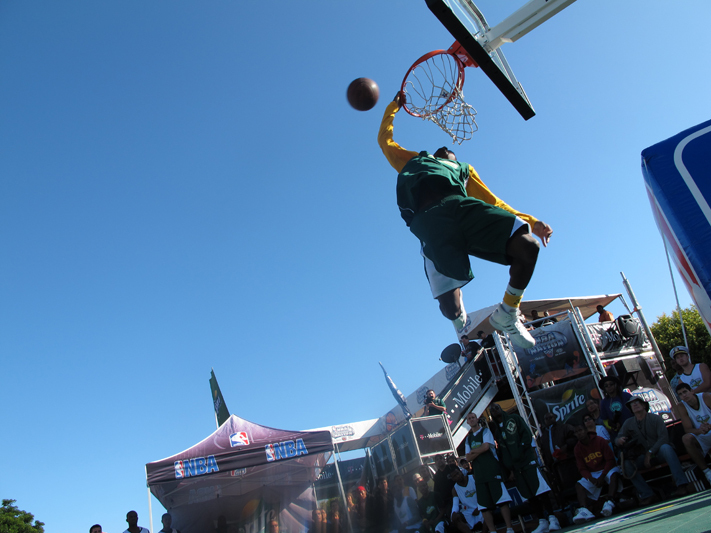 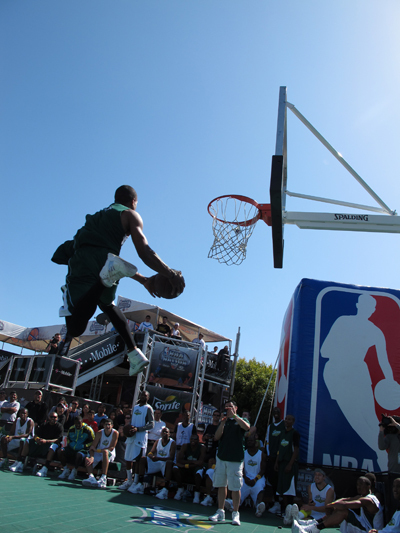 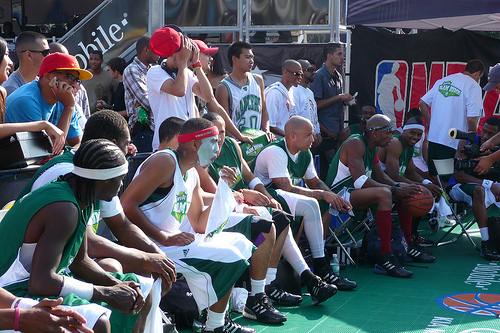 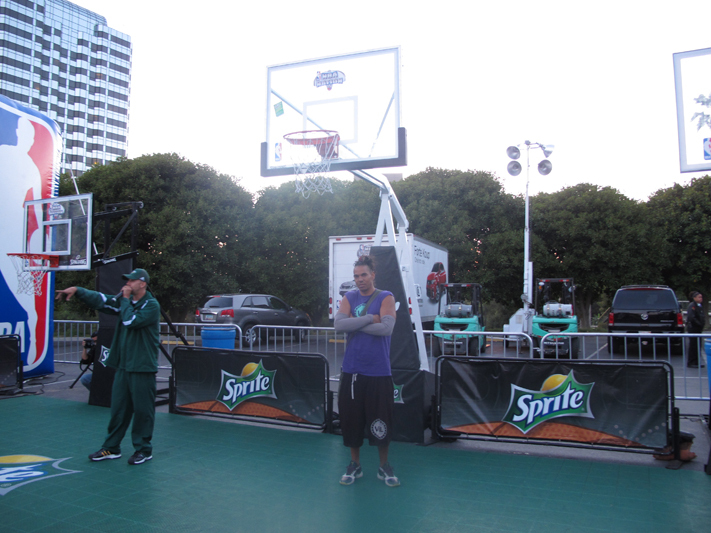 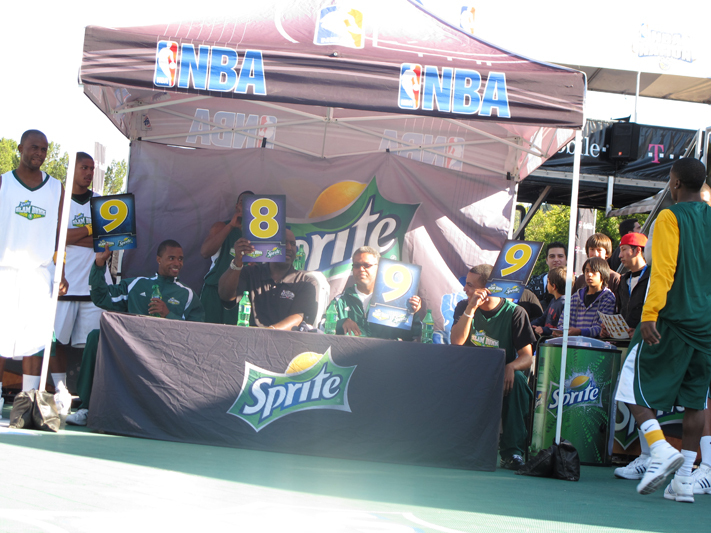 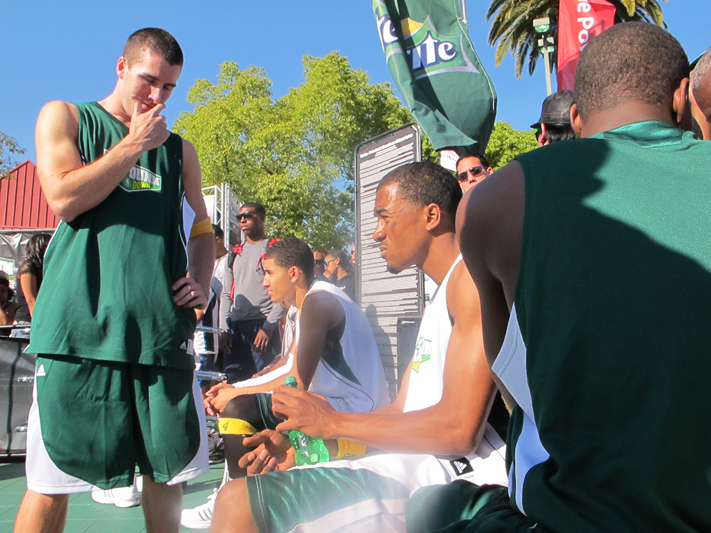 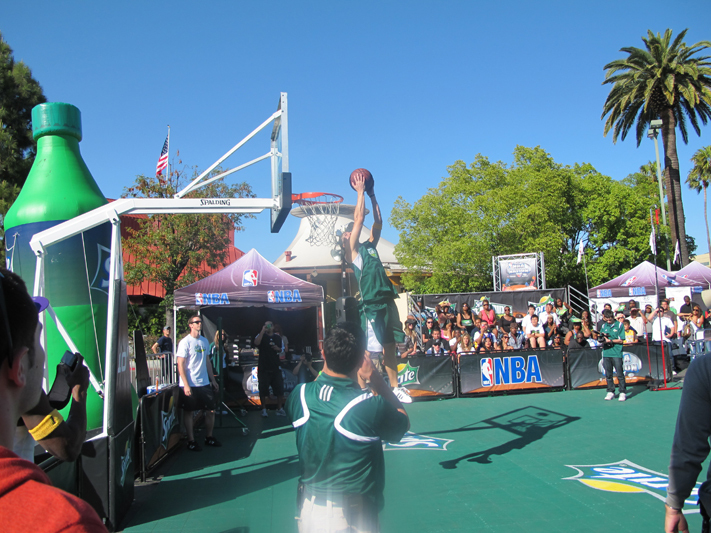 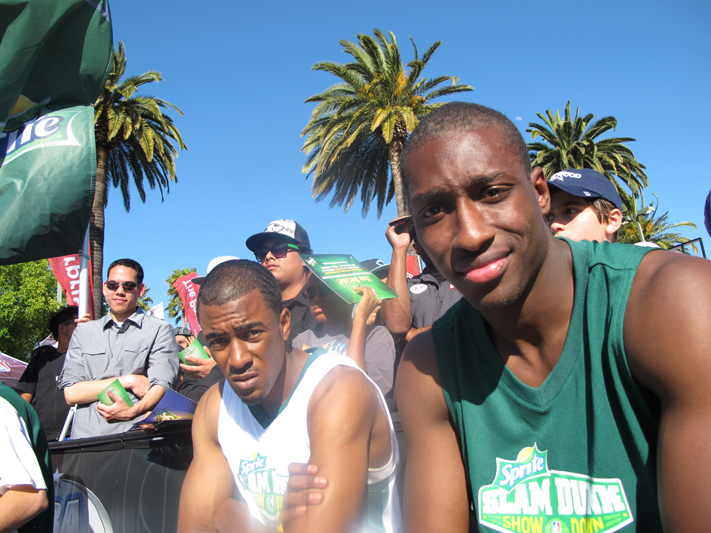 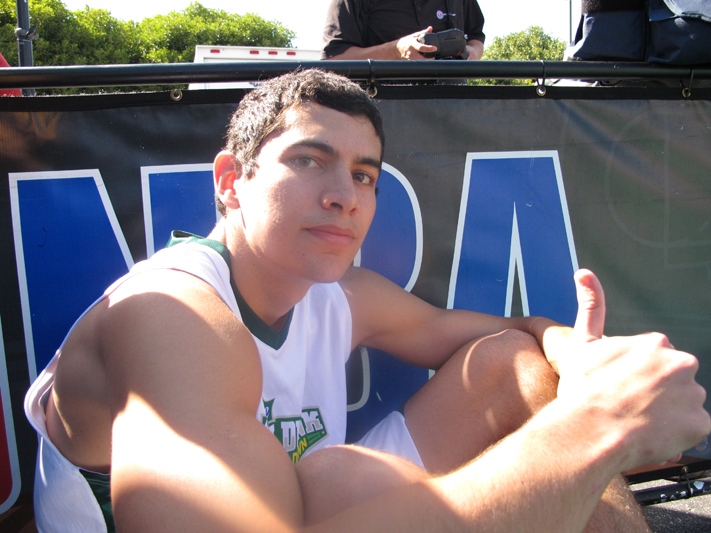 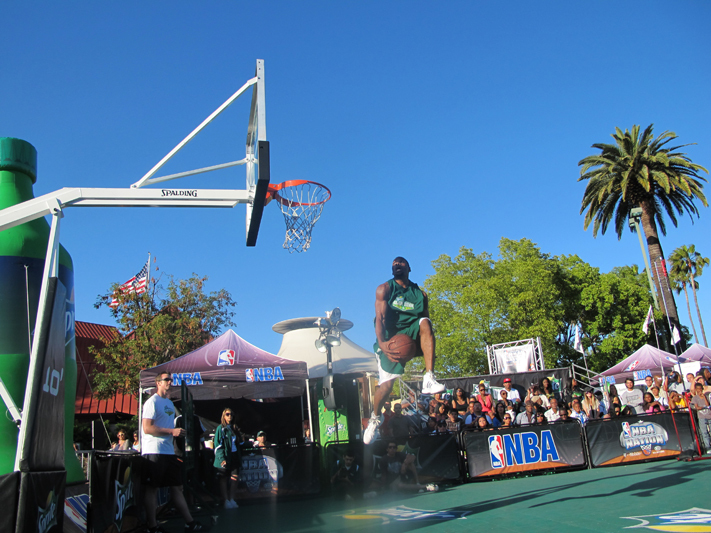 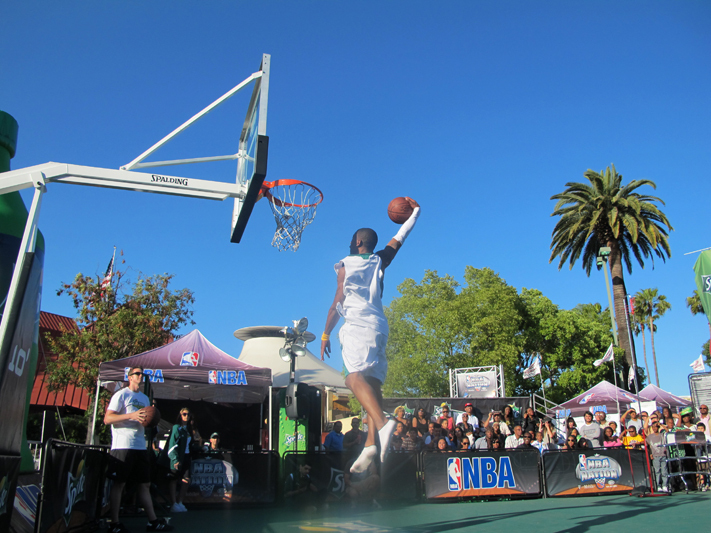 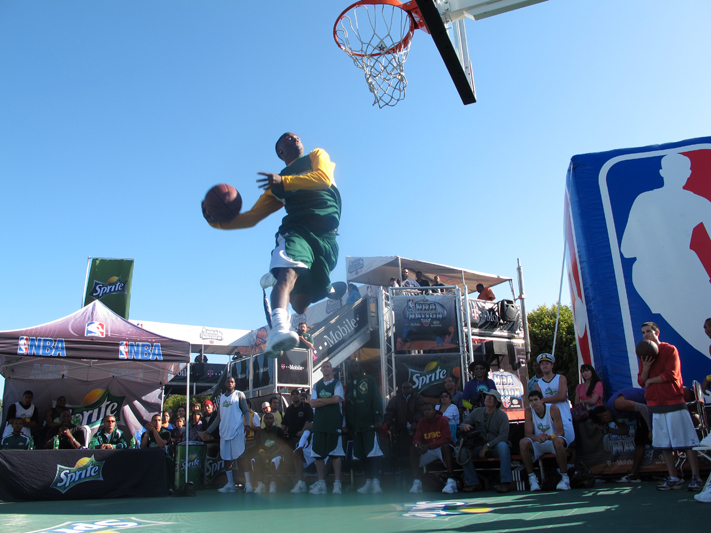 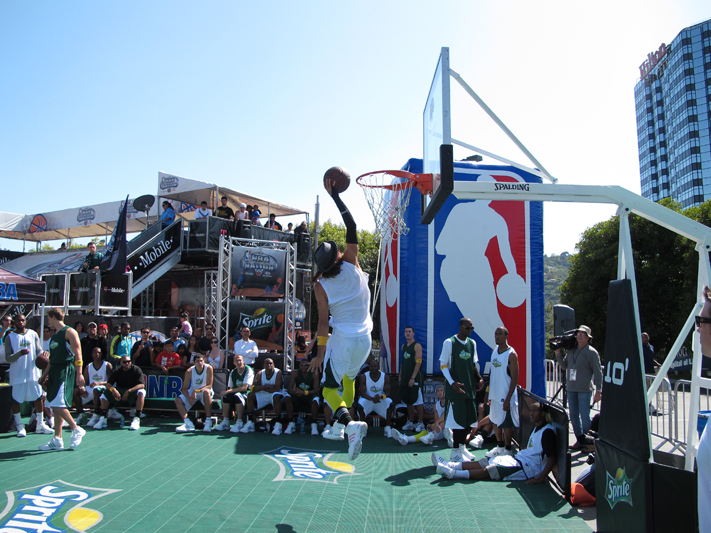 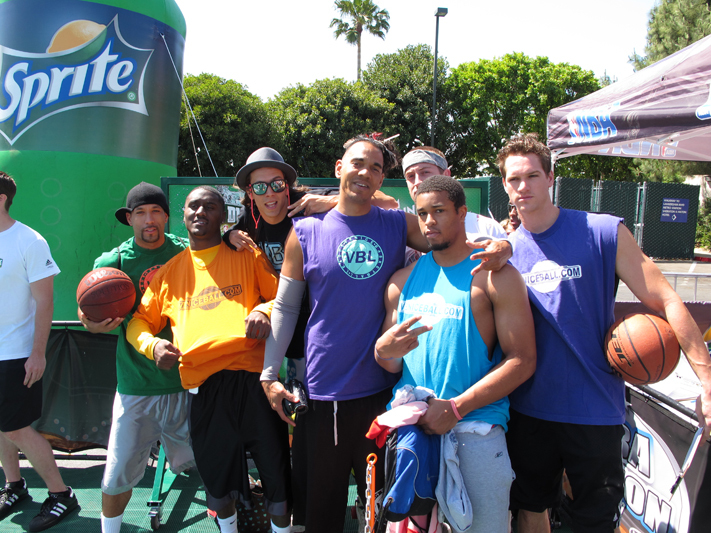 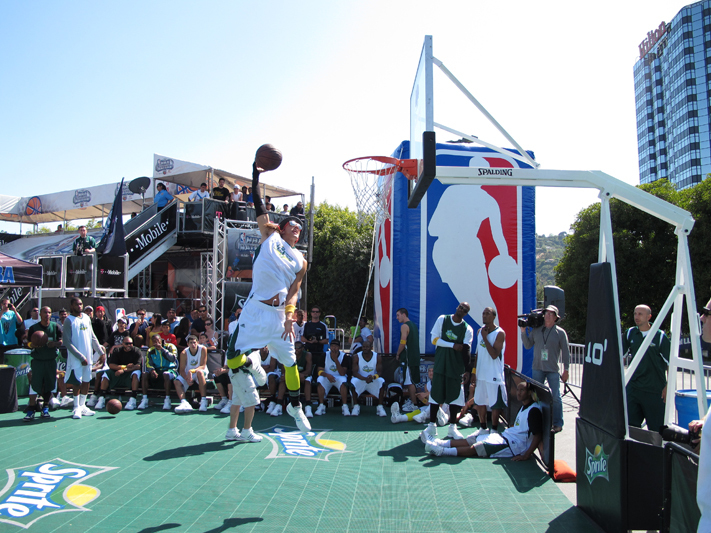 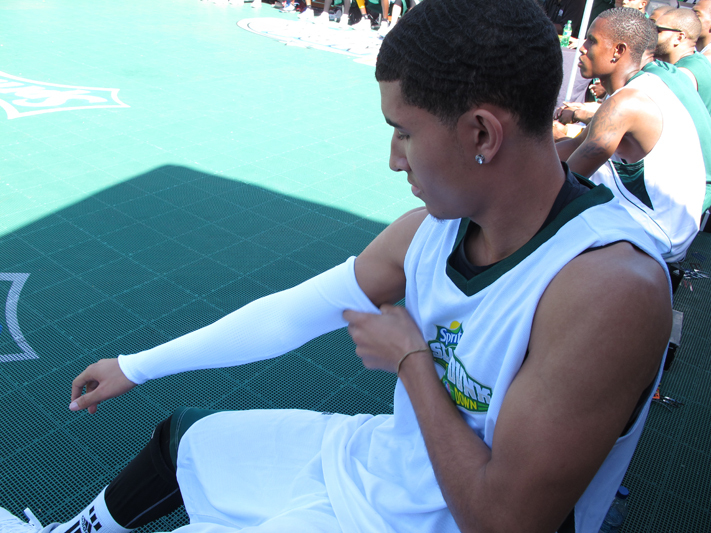 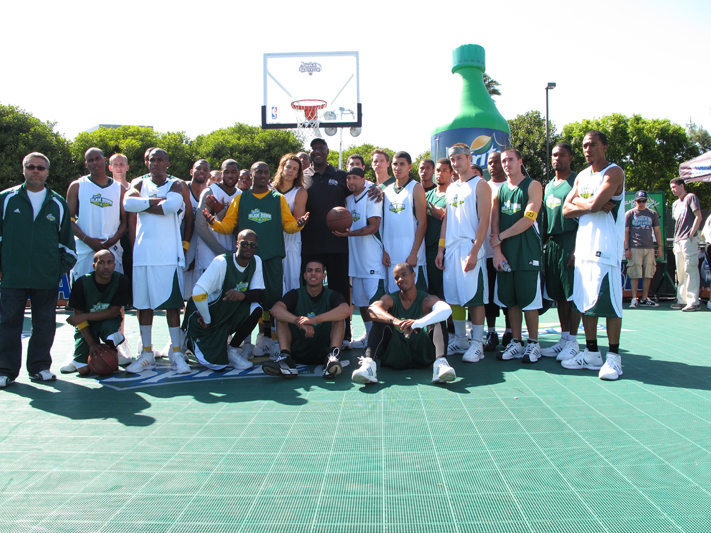 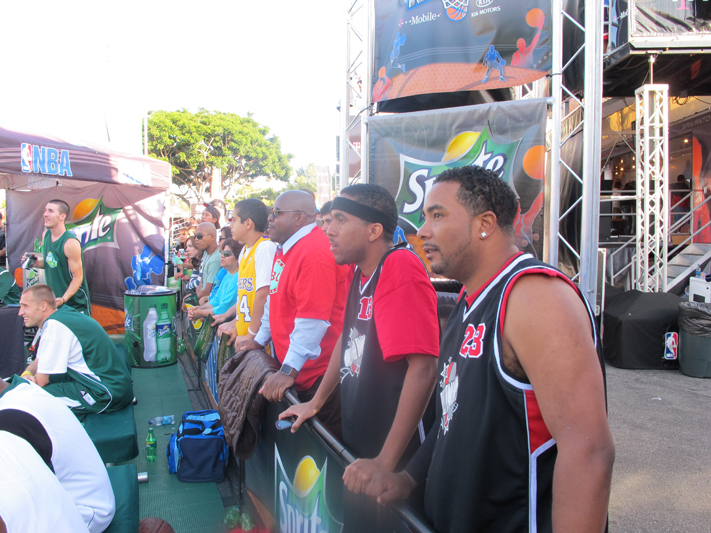 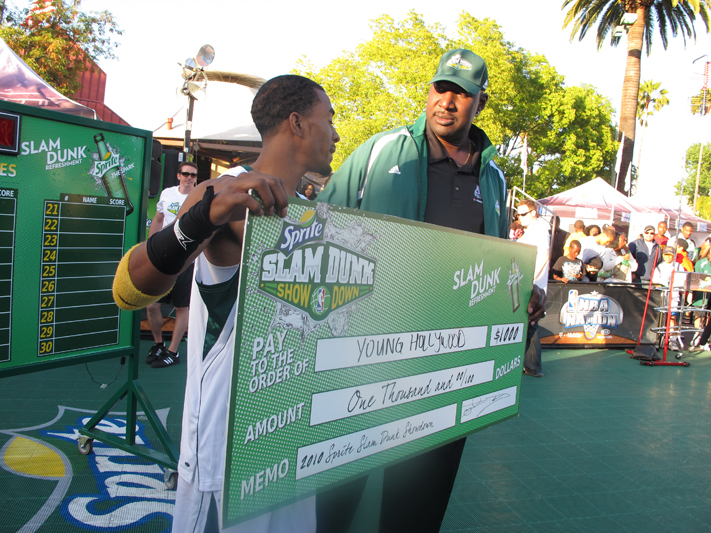 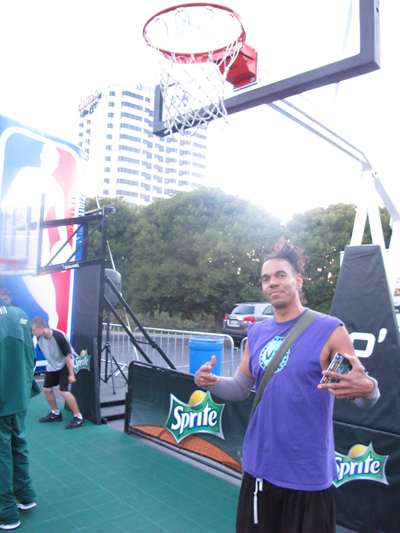 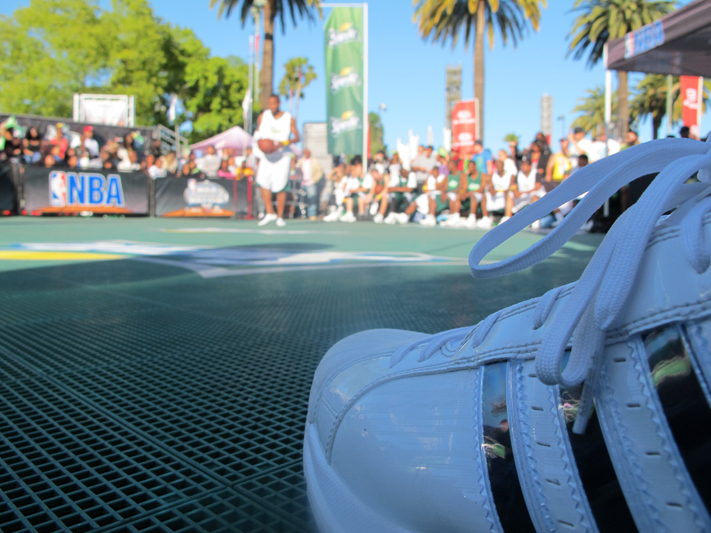 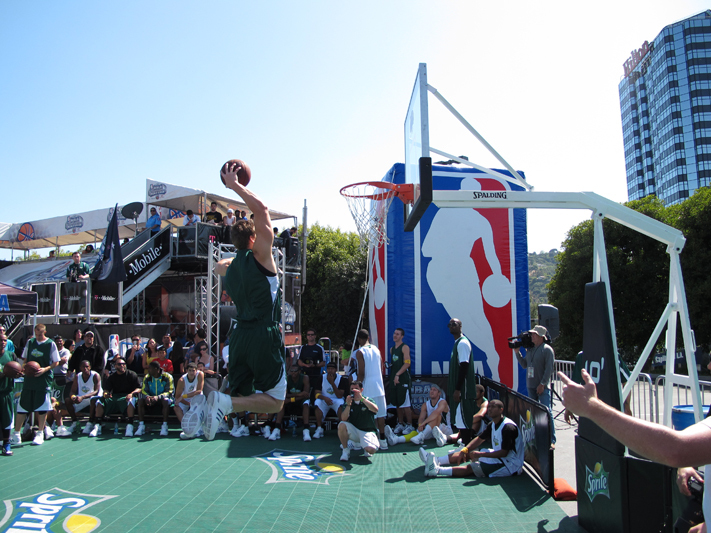 Attention Dunkers and Dunk Fans: Sprite and the NBA are looking for the best amateur dunker. 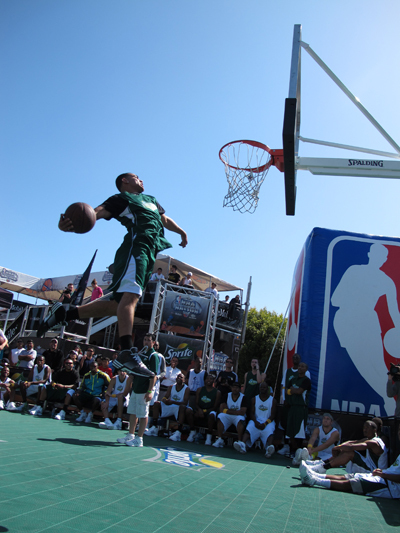 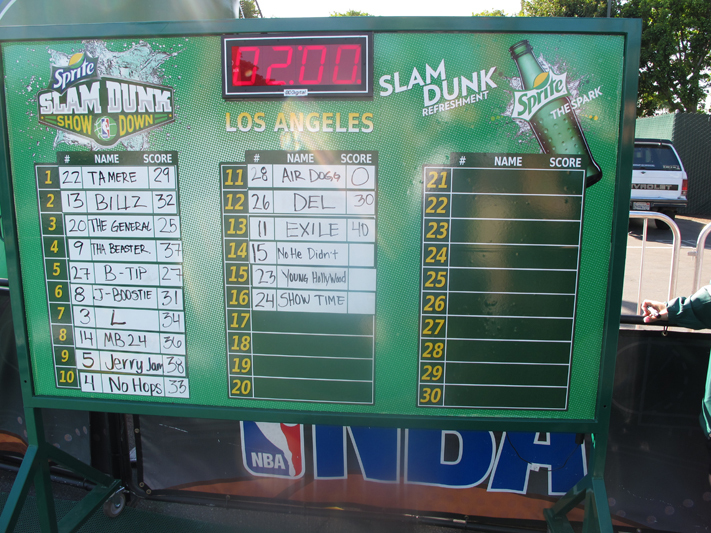 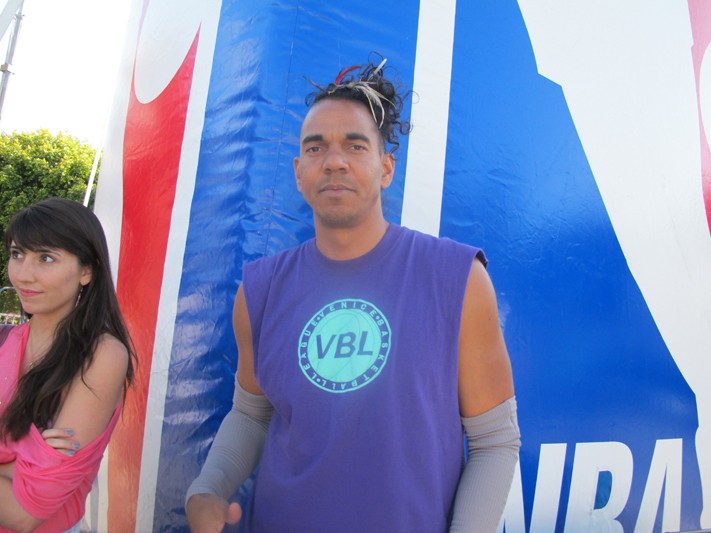 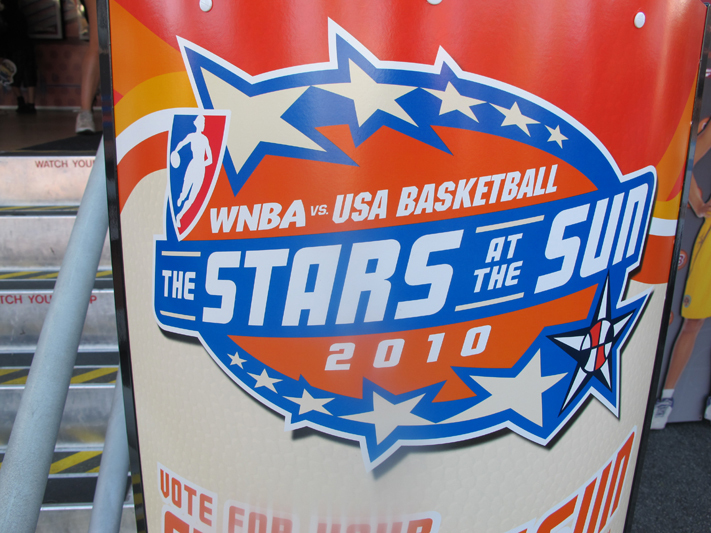 Check out the above map to find an event near you or upload your dunk video right here atNBA.com/dunk. 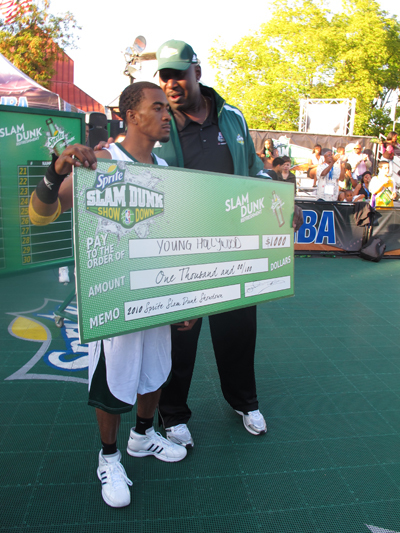 You could win $10,000!